Dallas, Texas (March 7, 2013) Caring For The World Films announced today it is the recipient of two 2013 Telly Awards for its latest documentary project Hearts In The Himalayas. With 11,000 international entries, The Telly awards are designed to honor outstanding media production. Winners represent the best work of the most respected advertising agencies, production companies, television stations, cable operators, and corporate video departments in the world in a variety of fields. 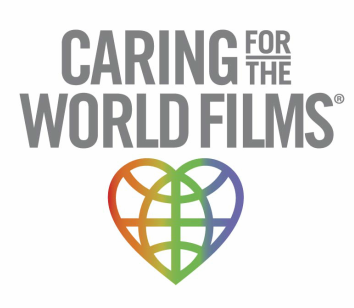 Caring For The World Films was awarded a Silver award in the category of Cinematography, and a Bronze award for Editing. The film has received a Best Short Award and 4 Omni Awards. Hearts In The Himalayas showcases the humanitarian efforts of the non-profit organization Himalayan HealthCare. The film profiles the work of the driven and dedicated volunteer organization, which provides medical care, education, and income generation opportunities to the mostly forgotten people who live in the remote foothills of the Ganesh-Himal mountain range in Nepal. Having our work recognized by the Telly Awards is one of the greatest honors we could receive,” states Debi Lang, founder of Caring For The World Films. “We’re equally proud our commitment to showcase relatively known, but successful non-profits who are accomplishing the impossible in remote locations with few resources. This project is a celebration of the successful efforts of Himalayan HealthCare and what it has accomplished over the past twenty years as well as providing visual access to a region and culture that historically, has been ignored. In 2011, Caring For The World Films received three Telly Awards for Road To San Marcos and Return To San Marcos.